The magic began near Christmas in 1597. On a cold winter’s night William Shakespeare, William Burbage, and others were stealing lumber. Clandestinely they had dismembered their Theatre building in Shoreditch (where their Puritan lease-holder prohibited the performance of plays), and now, under the cover of night, they were dragging the wood across the frozen Thames river, to a new location in Bankside — the gritty, disreputable borderland for all kinds of lawlessness and entertainment. There were bear-baiting rings, pubs, and brothels, and withhin a few months, the Globe Theatre would open. Hard-living workmen would pay a penny to stand on the ground below the stage and hear Shakespeare’s plays while well-heeled merchants and members of the court attended the same shows from the galleries above. Fast forward 350 years. 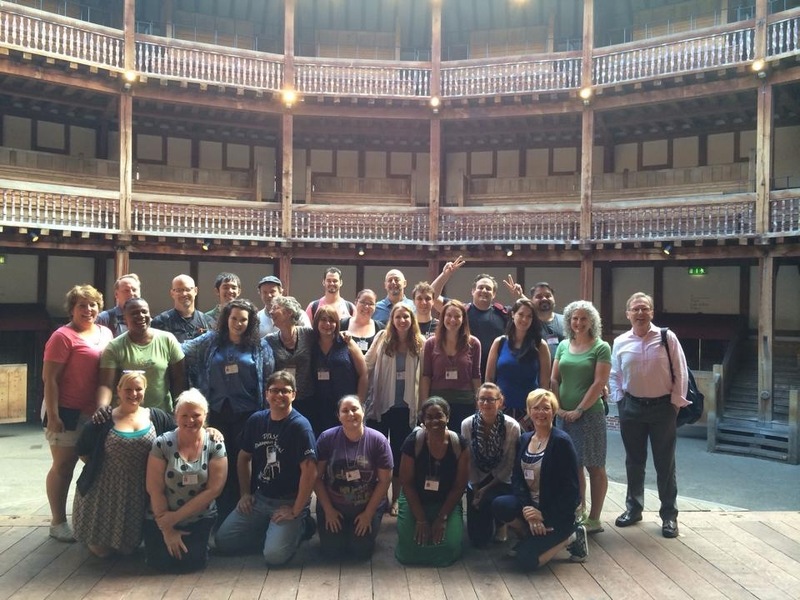 Inspired after performing in a replica of Shakespeare’s Globe Theatre in Cleveland, Ohio, the American actor and director Sam Wanamaker performed (as we teachers did) a pilgrimage to Bankside. But all he found there in 1949 was the parking lot of a brewery, where against a wall was affixed a modest plaque commemorating the location where Shakespeare and his company, Lord Chamberlain’s men, rebuilt their theater and performed many of his plays. As we 25 pilgrims learned, Mr. Wanamaker dedicated the rest of his life to the reconstruction of the Globe, and in 1979 his project to “re-member” the previously “dis-membered” theater began in earnest. Through meticulous research, excavations of the original site, and consultation with scholars and architects, the Globe was reconstructed, according to the principles of design and craftsmanship used in Shakespeare’s time. The theater opened in 1997, three years after Mr. Wanamaker’s death, and it serves as a legacy to this remarkable human being. The 25 of us came to London to discover and connect with Shakespeare, and through the Globe, we did that. More importantly, we found ourselves connecting with Mr. Wanamaker’s ideal: To create a center for the authentic performance of Shakespeare and for the universal study of his works. In addition to attending professional performances in the theater (which were spectacular) we came to understand the degree to which the Globe has become an educational center. We worked daily with members of the education team, which sees as many as 700 British students from ages 10-18 EVERY DAY of the school year. That’s well over 50,000 children per year. We observed lessons delivered to these students, and in the process, we saw how powerful the teaching of Shakespeare — especially in this very special theater — can be. And so they did. He’ll never forget that moment. I probably won’t, either. At the culmination of the course, our 25 teacher/pilgrims performed on the Globe stage. It was midnight. The theater was empty, save our four directors, members of the Globe Education staff, and a handful of friends and guests. Absent were the usual sounds of modern life; the helicopters were gone, and stars dotted the sky, visible through the Globe’s infinite roof. We began our performance, stepping out onto that magical stage, and for a moment, I could see the sunlight greeting the actors. 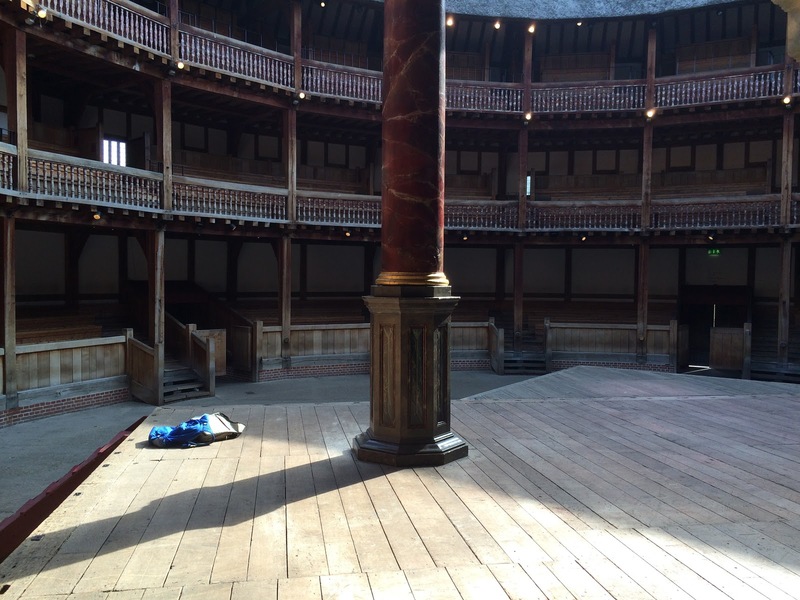 I felt 1500 people in the audience, 500 on the ground and a thousand in the seats, and shared, for a moment, what it must have felt for Richard Burbage, William Kempe, Henry Condell, and of course, for Shakespeare himself, to play in this theater and share the space with their audience. 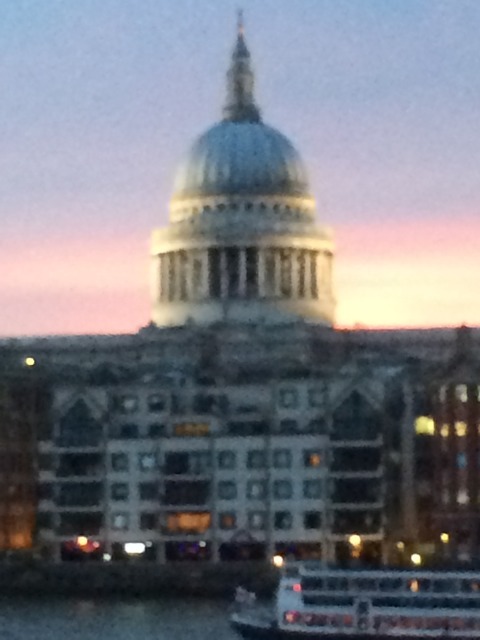 And they — along with Sam Wanamaker — were there with us. Their spirit breathes on in the soul of this remarkable building, and now we twenty five teachers have joined them. By bringing us 25 teachers and pilgrims to the Globe, the English Speaking Union has inspired us, directed us, and shown — by brilliant example — the beauty and power that is inherent in Shakespeare’s works and language. We have shared in the Globe’s theatrical and educational feast, and we bring it back home, to share with our students and with our colleagues. I am a high school English teacher also, and I attended a performance at the Globe in July. It was truly life-changing. I cannot imagine a more defining experience as an English teacher…..
One of my goals is to be a part of a very fortunate few teachers at this same program, some time in the near future! Thanks for sharing!! I hope that you do it. Look for your local chapter of the English Speaking Union; They provide scholarships. Good luck!